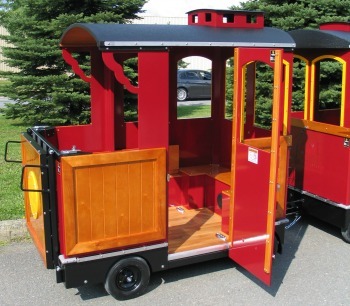 Created to accommodate an adult's wheelchair. When not occupied by a wheelchair occupant, the folding seat will allow passengers to sit! "Great attraction! 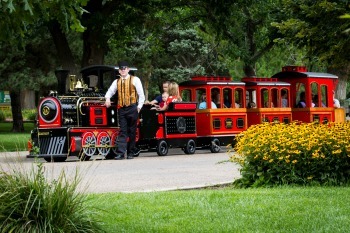 Visitors enjoy the ride, reliable and good source of revenue." 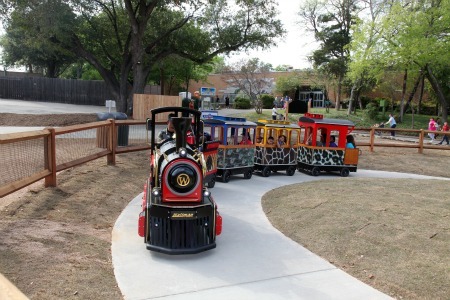 "The train is working well and we're happy with our ridership, over 6,500 riders since we opened it on May 28 (2011)." 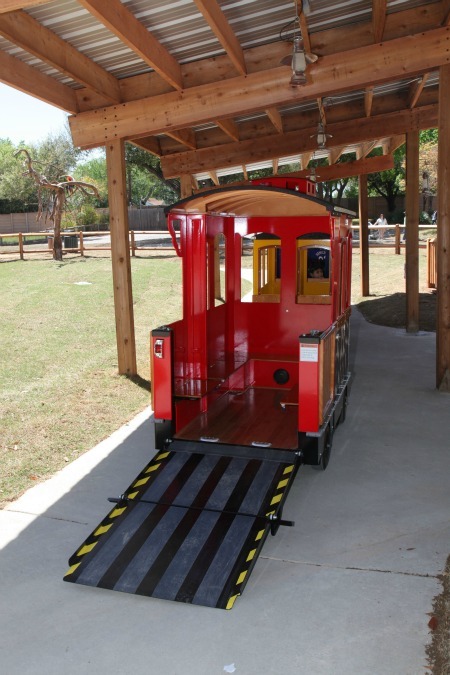 "The Wattman Mini Express has been one of the best additions we have made to Royal Oak Farm Orchard. It's one of the best decisions and investments we have made. 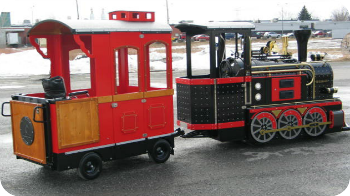 Our Entertainment area income doubled over the previous year after we added the Mini Express! It was such a pleasure to work with the Wattman Company and we are amazed at the quality of workmanship and the low maintenance. 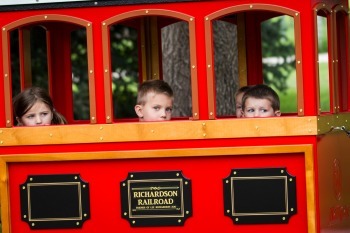 Best of all, the families and children visiting the orchard love the "Royal Oak Express" and want to ride over and over again!" 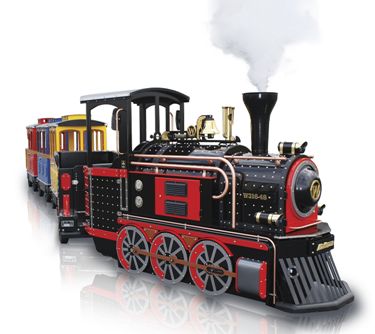 Here's what other customers say about Wattman trains!